Auto upload photos from Aperture to Picasa Web albums. Is there a better alternative to Aperture to Picasa Web Albums? Is Aperture to Picasa Web Albums really the best app in Image Editing category? 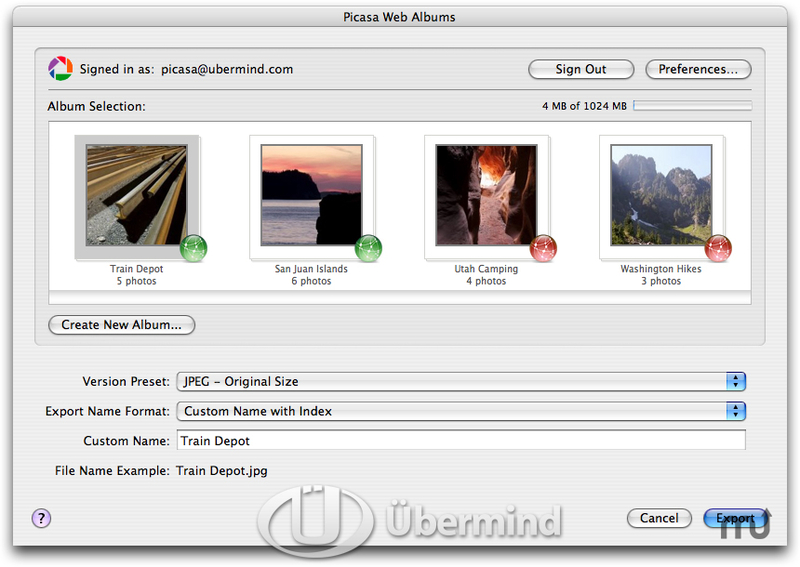 Will Aperture to Picasa Web Albums work good on macOS 10.13.4? Aperture to Picasa Web Albums is the popular, award-winning Aperture export plug-in which allows Aperture users to easily upload their images to Google's Picasa Web Albums. Aperture to Picasa Web Albums needs a rating. Be the first to rate this app and get the discussion started!